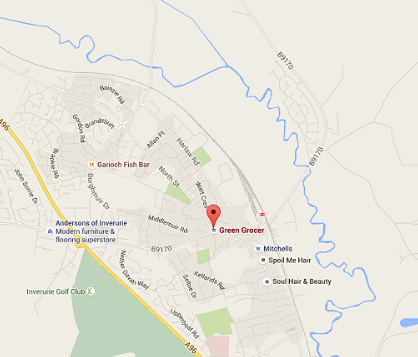 We are located at 76 West High Street, Inverurie, Aberdeenshire. The main Aberdeen to Inverness trunk road is less than 2 miles from our location. For accurate driving directions please click on the Google Map opposite and enter our post code which is AB51 3QR.